A number other additional fee increases. a host of other programs. To view the full proposal see here. The Senate Transportation Committee held a work session with public comment on Thursday, January 24. Over 80 people weighed in, overwhelmingly favorable. I testified supportive with small caveats. Specifically, I encouraged the committee to think about the immense county preservation and maintenance needs we face. I drew particular attention to the CAPP and RAP programs, the need for critical bridge maintenance, and the need to replace and repair thousands of county-owned culverts. While the potential for a new transportation revenue package is sucking up a lot of the air in the room, there is still a great deal of work getting done in a variety of other areas. This includes a number of bills I am tracking related to procurement, public works and transportation. Representative Mia Gregerson (D-SeaTac). HB 1202 addresses fairness and compliance with public works and procurement practices. Specifically, it requires the Office of Minority and Women’s Business Enterprises (OMWBE) to annually identify state agencies and educational institutions with low levels of participation by minority and women-owned businesses in the execution of public contracts, it establishes an investigation unit within the OMWBE, repeals the Attorney General’s Office’s authority to investigate and enforce compliance with minority and women-owned businesses contract requirements and increases the small-works roster from $300,000 to $500,000. At this time, WSACE/WSAC are monitoring this bill. 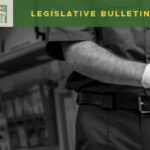 Representative Marie Leavitt (D-University Place) and Senator Dean Takko (D-Kelso) have introduced companion bills that would allow counties to utilize unit-priced contracting. Unit-priced contracting would allow a county to procure specific types of public works on a unit-priced, or “on-call” basis. This is a policy the cities, ports and pud’s have successfully adopted legislation for over the past two years. HB 1359 is scheduled for public hearing in the House Local Government Committee on January 30 at 8am. SB 5418 is scheduled for public hearing in the Senate Local Government Committee on January 31 at 8am. I will be testing in strong support of both measures. 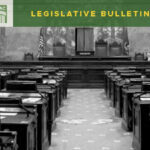 Representative Jared Mead (D-Mill Creek) and Senator Dean Takko (D-Kelso) have introduced companion bills that codify Connecting Washington appropriations to the County Road Administration Board (CRAB), the Transportation Improvement Board(TIB) and the Freight Mobility Strategic Investment Board (FMSIB). These are high priority bills for CRAB, TIB and FMSIB, and WSACE/WSAC are very supportive. Senator Tim Sheldon (D-Shelton). SB 5104 prohibits local governments from imposing vehicle tolls. WSACE/WSAC oppose this bill. SB 5104 is scheduled for public hearing on January 30 at 3:30pm in the Senator Transportation Committee. 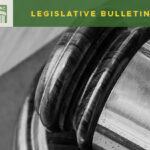 Senator Tim Sheldon (D-Shelton): SB 5255 prohibits rural counties from imposing a road usage charge. WSACE/WSAC oppose this bill. 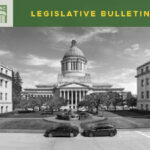 SB 5255 is scheduled for public hearing on January 30 at 3:30pm in the Senator Transportation Committee.